To the surprise of many, sprawling Jacksonville is Florida’s largest city, despite the higher profile of Miami, Tampa and even Orlando on the national scene. The neighborhood of Southside has blossomed into one of the city's vital business districts. Growth in this area has exploded in the last two decades. A low crime rate, good schools, access to Interstate 95 and the presence of an extensive network of parks and recreation areas have made the Southside ripe for development. Neighborhoods range from tracts of working-class, single-family homes to upscale, gated golf communities. The area’s architectural mix includes bungalows, Tudors, Mediterraneans and Cape Cods, nearly all built after 1990. Traffic can be frightful at rush hour around Baymeadows, Southside and San Jose boulevards. Other highlights of the Southside area include the Avenues Mall and St. John's Town Center.There’s a great nightlife, boutiques, excellent cuisine, arts and music for everyone to enjoy! The Ft. Caroline National Memorial is a Nature Preserve with a rich historical background. In 1564, this real estate was the first French Colony in the Americas. Jacksonville started out as the town of Cowford in the late 18th Century. It became a popular winter spot after the Civil War. During that period, Southside Jacksonville real estate was a supply point for livestock and aiding the Confederate cause. The Navy kept a blockage at many Florida ports. Throughout the Civil War, the real estate in Southside Jacksonville changed hands a number of times without a single drop of blood being shed. Seen by many as a victim of war, Jacksonville persevered. It currently consists of over 500 distinct neighborhoods, experiencing steady growth to this day. Southside Jacksonville FL properties overflow with history and natural beauty. Real estate in Southside Jacksonville boasts dozens of parks with great opportunities for the family. Under the guidance of the parks and recreation department, there are entertainment events, activities, sports and educational programs. The Arlington Lions Club has picnic shelters and a manatee education exhibit. Clanzel T. Brown Park offers playscapes, lighted tennis courts and a swimming pool. Mandarin Park has grills, a fishing area, a boardwalk and a discovery center. A Southside Jacksonville home buyer can enjoy all these amenities and more. More includes a range of attractions throughout the region. Any Southside Jacksonville home buyer can take the family out for a day of adventure at any time. There’s historic Castle Ottis, a replica of Irish castles that existed 1,000 years ago. Sitting outside the Jacksonville Municipal Stadium, the Duval County Veterans Memorial Wall immortalizes over 1,500 lives lost during active duty. It is a testament to the city’s admiration and respect for the country’s military. Other Southside Jacksonville properties include Treaty Oak, the Sally Robotics Tour, Fort Clinch and the Kingsley Plantation. The Cinemark Tinseltown is a state-of-the-art high def movie theater. 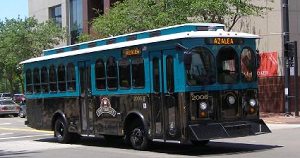 Events and entertainment are a key component of life in Jacksonville. The communities are constantly on the prowl for ways to enhance the lifestyles of anyone that owns Southside Jacksonville FL homes. They promise the arts, music, food, fun programs and much more for all ages. Among the city’s annual events are Monster Jam, the Redfish Spot Tournament and the Sea & Sky Spectacular. Jacksonville’s Sea & Sky Spectacular is a highly anticipated air show. Monster Jam is a great day of monster truck and motorcycling rallying. The Redfish Tournament is over a decade old and a popular event that has had over a 1,000 participants vying for prizes and raising money for charity. Owning Southside Jacksonville homes puts you in the middle of all this and more. The region offers outstanding schools, shopping and entertainment. 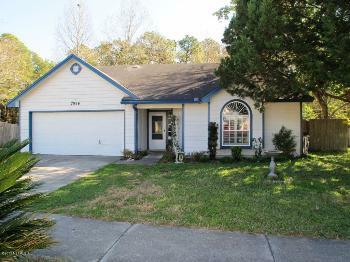 For information on Southside Jacksonville homes for sale, let us show you why we’re the best resource for buying homes for sale in Southside Jacksonville.